Do you allow you customers to experience your brand through all five senses? Not one medium allows indulgence in all five. Take web sites for example, here we are limited to just two, sight and sound. These limitations definitely affect my actions. When in come to buying things like sheets I abandon my online shopping experience and head out to a store. There are some things I just need to touch before I buy. 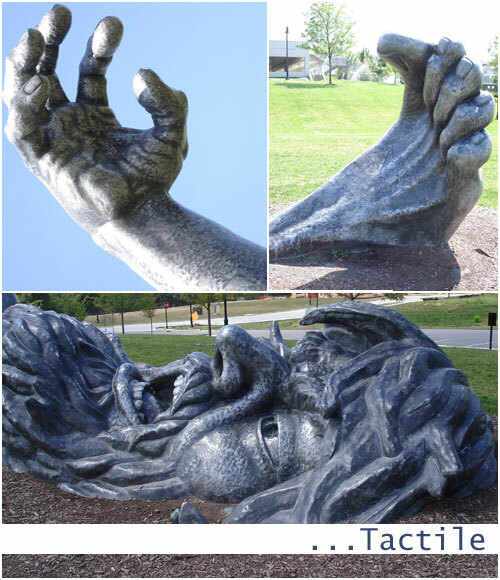 Talking of the five senses take a look at this fabulous sculpture, The Awakening, near the Mall in Chesterfield. He was made to be touched! This entry was posted in Chicago Branding, St Louis Web Designer, Uncategorized and tagged website. Bookmark the permalink.